Arrive Bagdogra / New Jalpaiguri. Transfer by road to Pelling (120kms / 4.5hrs), the nearest Motorable point to Mount Khangchendzonga, the worlds third highest peak. Proceed to your hotel. This morning you will visit the Changay Falls & Singshore Bridge. Also visit Dentam Bazaar - a beautiful Sikkimease village and the Pemayangtse Monastery. Late this afternoon you visit Rimbi Falls and the Sacred Khecheopalri Lake. 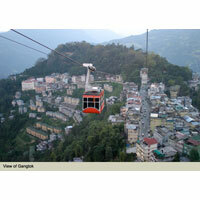 Today you will be transferred to Gangtok (125kms / 6.5 hrs), the capital of the state of Sikkim. En-route to Gangtok you will visit Ravangla - a small township in South Sikkim at the base of Menam Hill at an altitude of 5500 ft.
Today you commence your tour of Gangtok with a visit to the Rumtek Monastery, the biggest monastery in Sikkim and the Chortan Stupa. This morning you will proceed on an excursion to the sacred Tshongu Lake (12400 ft), (32 kms / 2 hrs) Enjoy an optional Yak ride around this picturesque lake. Today you will be transferred to Lachung (117 Kms / 5.5 Hrs), stop over at Tashi View point which offers a panoramic view of the mountains, later visit the Phodong Monastery and Chumthang Valley. Early this morning you will proceed on an excursion to Yumtahng Valley located at an altitude of 12,000 feet, en-route visit the Hot Spring and Singba Rhododendron Sanctuary. This afternoon you visit Lachung Monastery and the Cottage Industry Emporium. 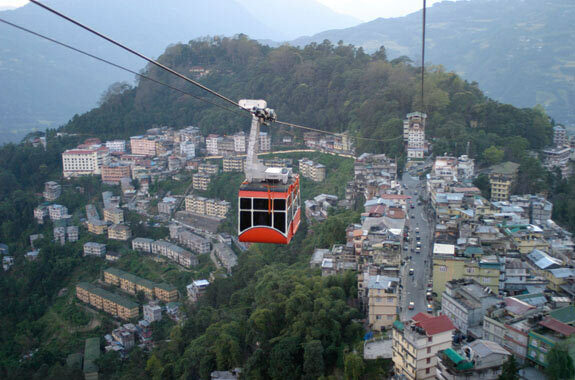 Today you will be transferred back to Gangtok. (117kms / 5 hrs). Proceed to your hotel with the rest of the day at leisure. Transfer to Bagdogra Airport or New Jalpaiguri Railway Station (115 kms / 4.5 hrs) for your onward journey.